The phrase “Going Green” is becoming increasingly popular, and for a good reason too. It should be important to everyone to consider living more environmentally aware, especially if we plan on mother earth being here for generations to come. 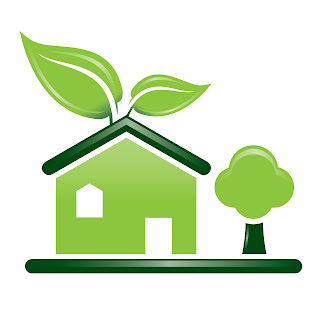 As with most things, there are various levels of commitment when it comes to living green. You don’t really have to do much to consider yourself eco friendly, for example if you recycle then you are already on your way to being environmentally conscious. What many people do not realize is that a little bit goes a long way, so when trying to live green remember that doing a little is always better than doing nothing. - Cascades’ e-boutique-For the past six months, the Cascades’ e-boutique has been offering eco enthusiasts and trendy décor fans eco friendly products that deliver appealing design and environmental friendliness. Green by nature, all products available at the Cascades’ e-boutique fully represent the company’s fundamental values of providing affordable, sustainable products to consumers. -Calmspace-a discreet, convenient & portable fragrance made of 100% natural therapeutic organic oils. The physician approved formula is proven to manage the anxiety of claustrophobic reactions. Unlike some treatments that involve synthetic ingredients and strong medicines, calmspace focuses on using all-natural oils to create a calming effect on the mind and body. Calmspace is easy to use. Remove the cap, place the scent under the nose & breathe deeply. Since the container is about the size of a tube of lip-balm, it can easily be incorporated into anyone’s lifestyle or routine. -Green Earth Technologies- producing "green" environmentally safer consumer packaged goods and products.They carry products for the home that make it more eco-friendly.